Take 1-2 capsules daily 30 minutes before meals. 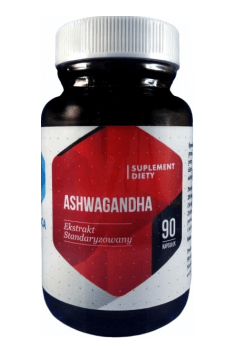 According to scientific research, a dose of about 300 mg of Ashwagandha (1 capsule) is enough to effectively improve the immunity and adaptability of the body system, however in case of greater exposure to stress it is recommended to use larger doses, 600 mg (2 capsules). Ashwagandha has sedative and soporific properties, which is why it is recommended to take it in the evening. In case of adaptogenic substances, it is worth to change the preparation after 2 months of use.